A stylish permanent trolley for your Weber Q. Make your barbecue the centre of attention on your patio. 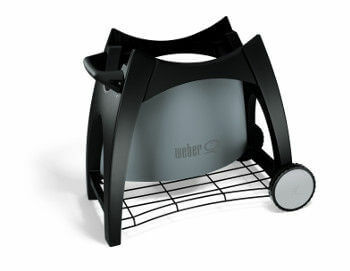 * 87cm Width * 56cm Depth * 75cm Height This Weber Q Stationary Cart is suitable for the Weber Q (Q200 series) range.